Features: 18 Bookstagram That Would Indulge your Bookish Eyes! I have lots of social media, as you can see on my sidebar. But I'm really active using Instagram and Goodreads. Lately, I've been seeing people posting pictures about books. They took really amazing pictures, that accentuate the gorgeous-ness (is that even a word?) of the books. These people are joined together in a community that called bookstagram. 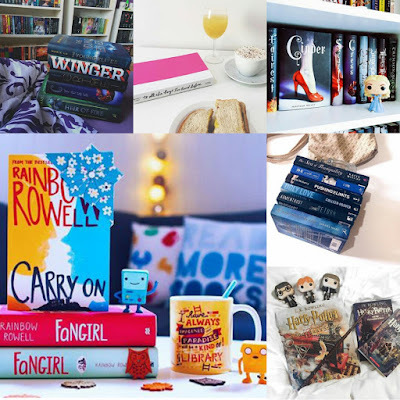 What is bookstagram? 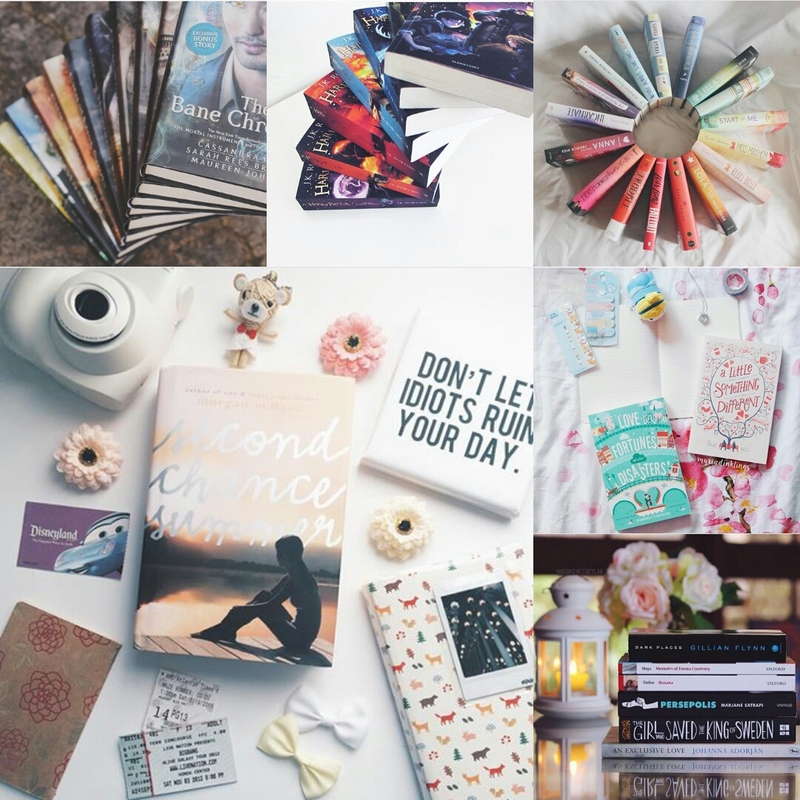 Bookstagram is the bookish community on instagram, filled with people who dedicated their accounts and their time to take beautiful pictures of books. Personally, since I'm really active on instagram, and I'm a sucker for beautiful covers (sorry not sorry!) I found that bookstagram community has influenced my reading options. 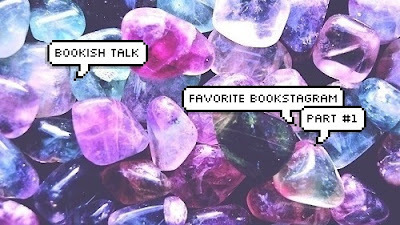 If I find something that's eye catching, I'll search it on Goodreads, and if I'm interested in that book, I'll add it to my TBR shelf. So basically, bookstagram compelled and influenced people to read a book. It influenced readers and also give recommendations for them. 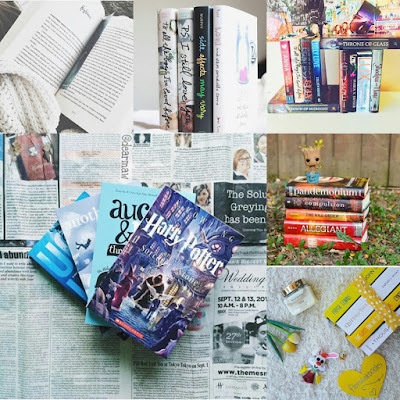 There are tons of bookstagram out there. You could search them with #yalit #currentlyreading #bookstagram #bookish #bibliophile and other bookish related tags. Omg this is great! :D I LOVE bookstagram and I'm pretty active on there, but always looking for new gorgeous accounts to follow. *happy sigh* I think it's totally okay to be in love with book's covers because we probably spend more time looking at them on our shelves than reading them, right!?? Yeah! I also really like bookstagram! 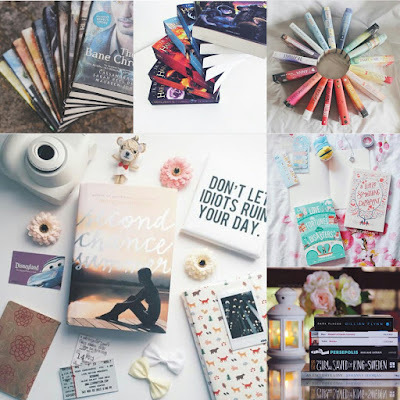 I didn't follow lots of bookstagram accounts, but I stalked them a lot :D Actually, I DO spend a lot of time looking/admiring/drooling at the covers, while putting of reading them bc I'm not sure I'll like the plot hehe!